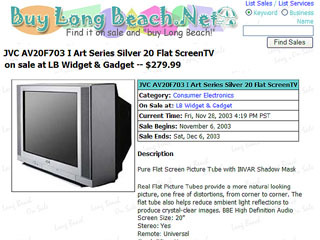 We also offer free advertising in our LongBeachOnSale.com service. Just click here to find out how to use the free merchant features at LongBeachOnSale.com. To begin using LongBeachOnSale -- click! If you would like to develop a fully professional website to promote your business, please click the G-site link below. If you'd like to learn more about G-site click here!